Many people assume that their acid reflux is unavoidable, but there are plenty of things which could be worsening your symptoms unnecessarily. 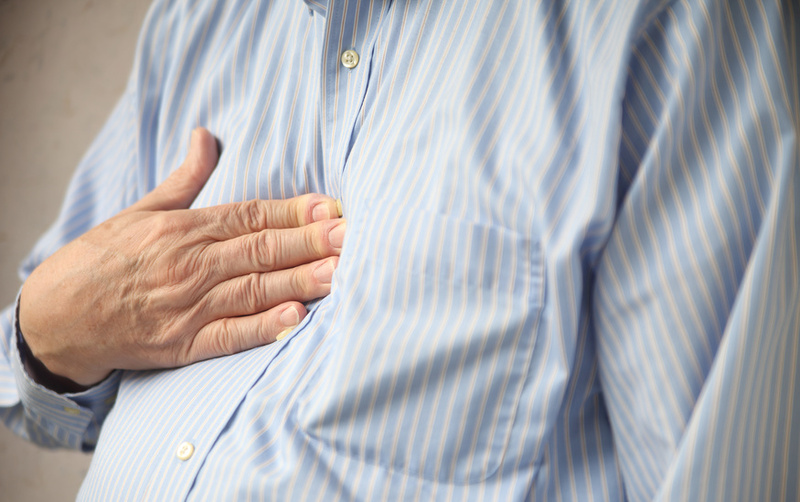 Acid reflux is a very common condition, affecting as many as one in five people. It occurs when the ring of muscle between the stomach and the oesophagus (known as the lower oesophageal sphincter) struggles to close completely. As a result, acid can leak up from the stomach into the throat, causing discomfort and even pain. Heartburn is one of the leading symptoms of the condition. Anyone can suffer from acid reflux, and most of us probably will experience it at some point in our lives. However, there are several lifestyle habits and aspects that can significantly increase your chances of experiencing the condition, or make your existing symptoms even worse. Understanding these risk factors is the first step to overcoming the condition entirely. With that in mind, here are 10 factors that can cause acid reflux. When eating large meals, your stomach stretches. This is what gives you that ‘stuffed’ feeling, but it also puts pressure on your lower oesophageal sphincter to keep everything down. Try to get into the habit of eating smaller meals more frequently. Gravity has a part to play in acid reflux. Staying upright after eating gives your stomach the best chance of keeping all the acid down, so avoid lying down immediately after consuming a meal. Research has found that weight gain of 10 to 20 pounds can increase your risk of acid reflux threefold. The more weight you gain, the greater your risk becomes. Try to introduce healthier food options and a regular fitness regime into your routine, starting small and building it up over time. You can also find effective weight loss medication from Express Pharmacy. Again, this has a lot to do with gravity. Try to avoid bending over when you still feel full, as this can literally squeeze stomach acid up into the throat. Eating just before bed is particularly bad for acid reflux. Not only are you lying down, but you’re also increasing your risk of heartburn. Try to avoid eating three to four hours before bed, and when you do sleep, raise your chest and neck higher with pillows. Certain foods are worse for acid reflux than others, particularly fatty foods and spicy foods. These create more stomach acid than others, making it more likely that some will leak upwards. Avoid citrus, chocolate, tomato, onions, cheese and garlic as much as possible. Similarly, drinks like alcohol, carbonated drinks and coffee can all aggravate your acid reflux and cause heartburn, so avoid these where possible. There are countless reasons to stop smoking, but one of the them is that nicotine consumption can loosen your lower oesophageal sphincter, making heartburn and acid reflux more likely. Progesterone, the main hormone in pregnancy, slows your digestive system. This, along with the weight gain and stomach pressure associated with pregnancy, can all significantly increase your chances of experiencing acid reflux. This means that, if you are pregnant, it’s even more important to take precautions against the condition. Though we often rely on them as a quick-fix treatment, common painkillers like aspirin and ibuprofen can actually make acid reflux worse. This is also true of certain muscle relaxers and blood pressure tablets. Thankfully, effective acid reflux relief medication is available. 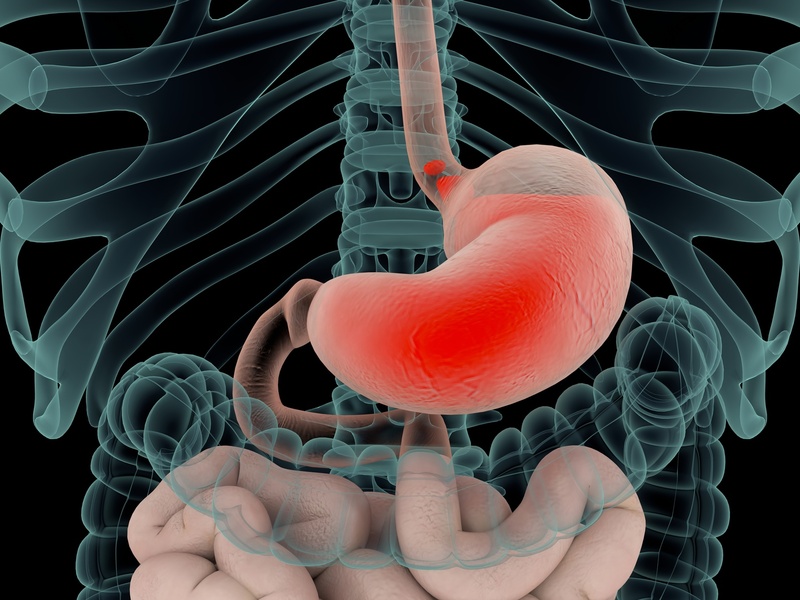 Omeprazole, Lansoprazole, Losec and many other options work by reducing the amount of acid your stomach produces, therefore reducing the risk of acid leaking into the oesophagus. Each of these options have had their effectiveness and reliability proven. What’s more, they are all available from Express Pharmacy. For more information, don’t hesitate to contact our team on 0208 123 07 03. Alternatively, you can get in touch via our discreet Live Chat service. Why Is Your Acid Reflux Worse in Winter? Acid reflux symptoms often worsen in winter, but why? And what is the best treatment for acid reflux? 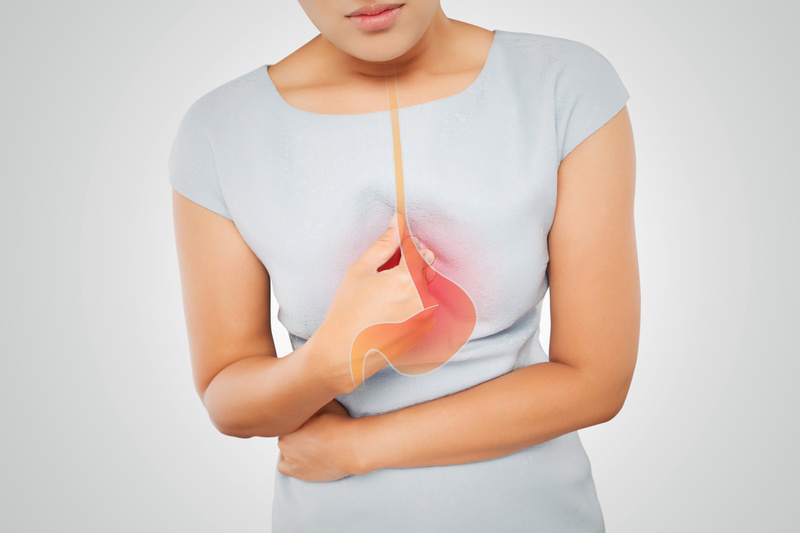 Acid reflux, or gastroesophageal reflux disease (GERD), is a common health concern in the UK. In fact, 60 per cent of the adult population will experience acid reflux at some point within a 12-month period, and around a quarter will experience weekly symptoms. Acid reflux can be diagnosed as when acid from the stomach leaks up into the oesophagus, resulting in heartburn, an unpleasant sour taste and possibly nausea. A lot of people who do suffer from acid reflux often find that their symptoms worsen during the winter months. So why is your acid reflux worse in the winter? And what can be done to lessen your symptoms? Understanding more about acid reflux as a condition is the best way to understand why it tends to worsen over the winter months. By gaining a clearer understanding of the causes of winter acid reflex, you are one step closer to finding the best treatment for acid reflex and heartburn. Gravity has a part to play in the symptoms of acid reflux, as the stomach acid is more likely to leak into the oesophagus when you are not standing or sitting upright. So in winter, when we tend to be less physically active and spend more time in bed or slouching on the sofa, symptoms can worsen. Sleeping with a pillow propping up your upper back can help reduce acid reflux. As well as being less active in winter, UK adults also tend to follow a less healthy diet too. Taking comfort from the cold with hot, fatty-rich foods is common in winter, but for acid reflux sufferers they can find their symptoms worsen as a result. This is because certain food groups such as fatty foods, spicy foods, chocolate and coffee, can aggravate acid reflux symptoms — and these are often the foods we see as comforting. In the run up to Christmas, we are more likely to gorge on unhealthy food and alcoholic drinks than at any other time of year. 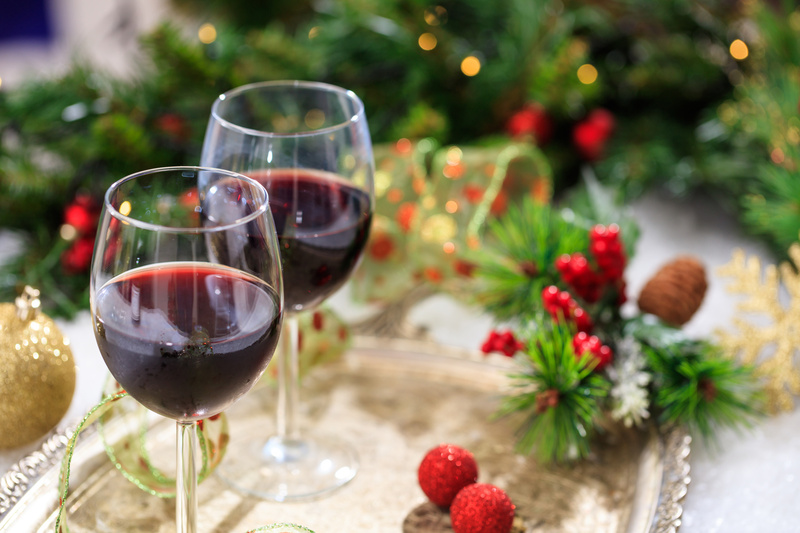 Whilst there’s nothing wrong with a few festive tipples, excessive alcohol intake can result in a significant increase in acid reflux symptoms during December. Alcohol is one of the main contributing factors in acid reflux, as it is itself acidic. There are several different options when it comes to finding the best treatment for acid reflux. Sometimes, it is a case of implementing certain lifestyle changes into your routine which helps to reduce symptoms of the conditions. These work particularly well in terms of preventing acid reflux, but in terms of finding the best treatment for acid reflux, it may be that effective medication is required. Lifestyle changes to prevent or improve acid reflux can include simply enjoying certain things in moderation, like alcohol and fatty foods. Don’t consume substances which trigger your acid reflux in excess. Increasing your level of physical activity can also reduce your chances of suffering acid reflux symptoms, especially if you are currently overweight and are using exercise to reduce your excess weight. You can also raise one end of your bed by 10 to 20cm to prevent stomach acid from travelling towards your throat. Acid reflux medication is an effective and efficient form of GERD treatment. There are several treatments available from Express Pharmacy, including Omeprazole and Lansoprazole — both of which are established and tested medications for treating acid reflux symptoms. So don’t suffer this winter, find the right treatment for your condition today. For help, information and treatment for any healthcare concerns you have this winter, contact Express Pharmacy. Call us on 0208 123 0703 or use our discreet Live Chat service today. I found taking omeprazole or lansoprazole made all joints hurt. When i bent down to pick up something a sharp pain in the bottom of my spine. Also I got pin pricks in elbow and knee joints. I therefore told the hospital specialist this and he told me he did not believe me, I therefore do not take anything but gavison but it does not stop coughing. The World Gastroenterology Organisation has named 29th May 2017 as World Digestive Health Day. With that in mind, there’s no better time to explore the importance of our digestive health – an important factor in our general health. A useful way to do this is to ask the question: Why is our digestive health so important? And also: What conditions are linked to poor digestive health? Let’s look at some of the common conditions associated with poor digestive health, letting you know what you can do to avoid and treat them. 70% of our body’s immune system lives in our digestive tract. This means that if something isn’t right with our digestion, then our overall health is compromised as a result. Digestion is the entire process from consuming food to excreting waste. It’s responsible for the nutrients our body absorbs, making it not only necessary for our overall health, but for our survival. In order to maintain a healthy digestion process, we need to make sure our diet consists of all the necessary food groups in the correct quantities. This means carbohydrates, fruits, vegetables, protein, dairy, healthy fats and sugars and fibre, which is key for keeping the digestive process moving. We also need to drink plenty of water and be active, even just by making the effort to walk for fifteen minutes a day. What conditions are associated with poor digestive health? There are a huge number of conditions which either result from or cause poor digestive health. 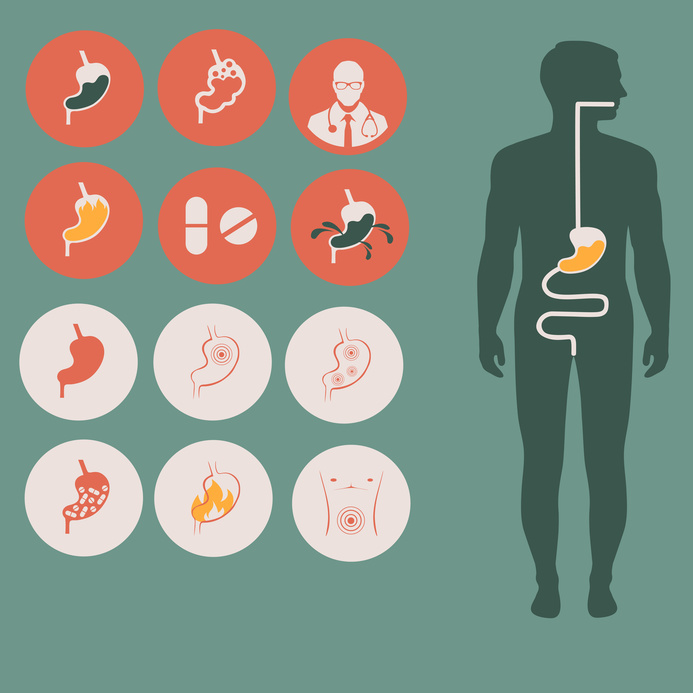 We’ve explored two of the most common digestive symptoms which can occur. IBS is extremely common. In fact, up to 20% of the UK population suffer from it in some form. It’s a condition that affects the large intestine, and most often results in symptoms such as abdominal pain, bloating, cramping, diarrhoea and constipation. IBS is a chronic condition, and it’s unclear exactly what causes it. Most sufferers learn to manage their symptoms through lifestyle and dietary changes, and by managing stress levels. Anti-diarrhoeal or anti-constipation medication can help, and it’s also advisable to cut gluten and high-gas products like carbonated drinks from your diet. Acid reflux is otherwise known as Gastroesophageal Reflux Disease (GERD), and is caused by stomach acid rising up into the oesophagus, causing an unpleasant and sometimes painful acidic sensation. This is usually the result of a weakened lower oesophageal sphincter muscle. One of the main symptoms of GERD is heartburn, which feels just as the name suggests: a hot, tight (often painful) discomfort in the centre of the chest. You can manage and avoid GERD by sleeping smart; elevating your head, neck and upper back with pillows and allowing gravity to do its job with the acid in your stomach. You can also maintain a healthy weight (as being overweight increases your chances of experiencing acid reflux and heartburn) and cut fatty, greasy or full dairy products from your diet. Acid reflux and heartburn can also be treated with the help of prescription medication designed to cool and neutralize the acid in your stomach and throat with an antacid-based formula. Gaining an understanding of your health concerns is the first step to treating them effectively, so don’t hesitate to get the professional guidance you need to ease your worries. Express Pharmacy provides an easy to navigate and discreet service, and we provide patients with a handy Live Chat tool so that they can ask any questions that are troubling them, no matter how sensitive. It is thought that 60% of the adult population suffer from some form of acid reflux over a twelve-month period. So, what can be done about it? Acid reflux – or Gastroesophageal reflux disease (GERD) to give it its medical name – is a condition that affects millions of people. At some point, we probably all have a bout of acid reflux, however mild, but for some people it can be uncomfortable and debilitating to their daily life. The main symptom of the condition is acid leaking up from the stomach and into the oesophagus, due to the lower oesophageal sphincter being too relaxed. It’s nasty and sometimes painful, but don’t worry – Express Pharmacy is here with ten easy at-home methods for treating your acid reflux. Some studies have found that gluten – commonly found in rye, barley and wheat – can increase symptoms of acid reflux, so it’s worth considering a gluten-free diet. Tight jeans, clinging dresses and belts that cut into your stomach can all exacerbate GERD, and create further discomfort. Stick to looser clothing and slightly larger waistlines to take some of the pressure off, even if it’s just on days when you’re lounging around the house. Drinking alcohol can relax oesophageal muscles further and even cause them to spasm, so cutting down on your drinking – or better yet, giving up altogether – is an effective way of lessening your symptoms and making you feel more comfortable. Smoking is a double threat to acid reflux, as studies have found that smoking both increases the relaxed state of your oesophageal muscles and inhibits your saliva’s ability to clear out excess acid from your throat. When dealing with acid reflux, it’s helpful to use gravity to your advantage in order to keep stomach acids where they belong – in your stomach. This is true of the time you spend asleep as well as awake. Elevating the head of your bed six to eight inches keeps stomach acids down, and prevents symptoms from showing themselves. Your entire upper body needs to be raised for this to work, so extra pillows alone probably won’t have the desired effect. Speaking of gravity, it’s important to wait before you lie down if you’ve recently eaten a large meal. At least three hours should have gone by since your last meal before you take up a horizontal position in bed or on the sofa. This means planning ahead and eating your dinner with enough time before you go to sleep. Eating little and often is an effective way of managing acid reflux. Avoid infrequent large meals and opt for smaller plates of food instead. Spicy food, fatty food, chocolate, coffee and mints can all increase symptoms of acid reflux, so try to avoid them. You might find this hard, but with 60% of acid reflux sufferers reporting bad sleep quality, and 40% reporting a lower quality of work concentration, surely it’s worth it. Acid reflux is often more severe in overweight individuals, so eating right and exercising can do wonders for keeping your symptoms at bay. Medication can help directly treat the symptoms of your acid reflux. At Express Pharmacy we stock a number of medications to treat heartburn, including Omeprazole, Lansoprazole and Losec.